As much as a society and its tastes may change, some things remain the same and seem never to lose their appeal. Such is the case with charm bracelets. 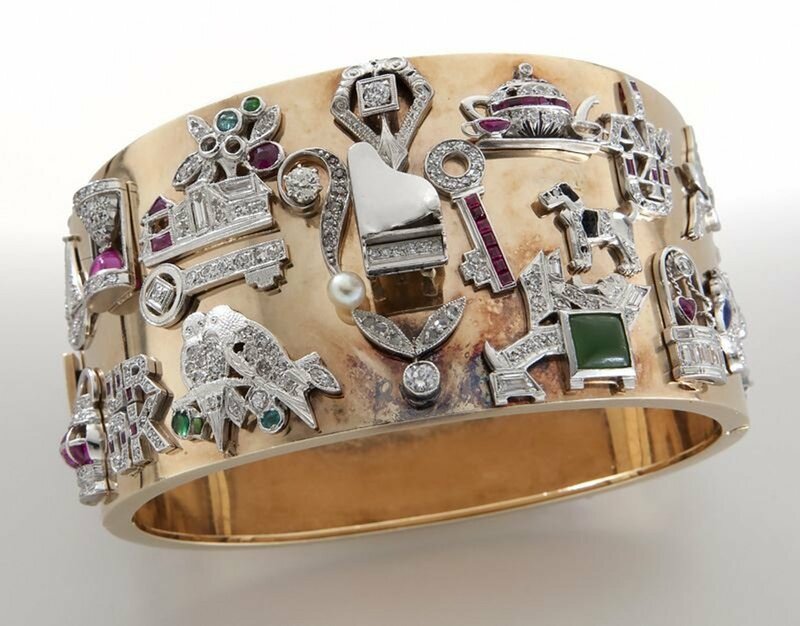 These beautiful wrist adornments with talismans that represent facets of the wearers’ character are not a new phenomenon. 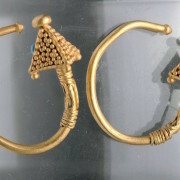 The earliest examples date back to the Neolithic period, with Egyptian pharaohs being among the first to don wrist jewelry with precious stones and metals fashioned as unique shapes and figures. In Ancient Egypt, charm bracelets were not merely a stylish choice; they were part of the people’s efforts to protect themselves, indicate their social status, and as an extra measure, to help position them in the proper societal status in the afterlife. That’s a lot to ask of a piece of jewelry, but the Egyptians were not the only ones who thought charm bracelets were up to the task. 14K yellow gold bracelet, stamped ‘Made in France,’ features seven charms including a cat, dog with ruby eyes, horse head with ruby eye, letter ‘E’ with single cut diamonds and rubies, pail with gemstones and hen bell with diamonds and ruby cabochons, 7-1/4 in., 96.2g. Sold for $24,000 during a May 2018 auction. 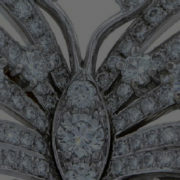 Brunk Auctions and LiveAuctioneers image. During the period of the Roman Empire, early Christians wore a hidden charm depicting a fish that would be revealed to fellow Christians as a sign of acknowledgment of the faith. Even during the Middle Ages, a time of great upheaval and societal change, knights and royalty would regularly wear charms and amulets for additional protection. They weren’t only seen as superstitious tokens to ward off evil; the charms and amulets also served an important purpose of identifying one’s family origin, profession and even political affiliation. 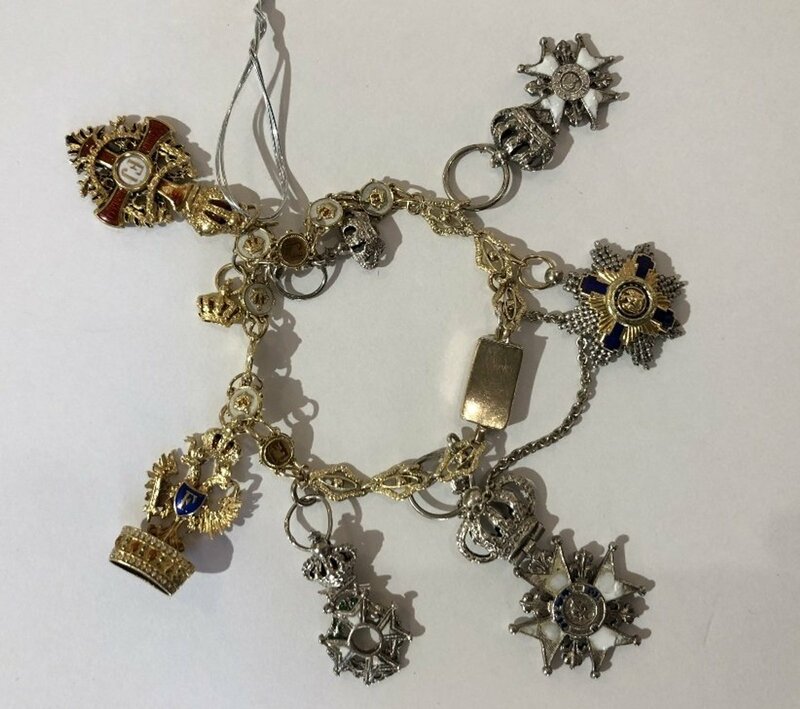 Not surprisingly, during the reign of Queen Victoria of England, charm bracelets transitioned from practical, utilitarian objects to a fashionable accessory. Just before the start of the 20th century, luxury goods icon Tiffany and Co., unveiled its first charm bracelet. The link bracelet featured a single heart suspended from the chain. Despite the challenges of the Great Depression, jewelers began adding platinum and diamond elements to charm bracelets in the 1920s and 1930s. The trend of charm bracelets continued as the world recovered from World War II. For the first time, a large segment of the U.S. population was introduced to trinkets, products and garments made by artisans in foreign lands, courtesy of returning soldiers. Charms were one example, and they became a tangible record of the wearers’ travels or dream destinations. 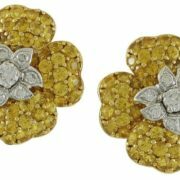 It also sparked an increase in the number of jewelers opting to get into the business of charm creation. Charm bracelets, like other articles of fashion, were also indicators of the changing interests and societal advancements. They were featured as prizes in coin-operated machines in the mid-20th century, owing to their popularity with the younger set. Throughout the latter half of the 20th century, charm bracelets appeared and reappeared a bit like the ocean tide. As they say, everything old is new again, and maybe yet again. Current interest in charm bracelets appears to span all age ranges, cultures, interests and economic levels. The charm bracelet is also considered a crossover collectible. You don’t have to be a collector of jewelry to appreciate a bracelet featuring charms representing elements of astronomy, pop-culture characters, sports, music, flowers or animals. The subjects depicted in the charms have never been as diverse as they are now. 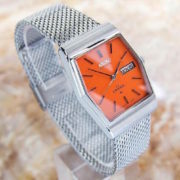 With national jewelers such as Pandora, Zales and Kay Jewelers; noted designers including Alex & Ani, Juicy Couture, Betsey Johnson and Michael Kors; and legends of luxury like Cartier and Tiffany and Co., producing them, there seem to be charms available for nearly every interest and occasion. New charm bracelets, depending on material, jeweled accents and intricacy of charms, range in price from $30 to upward of $1,000. 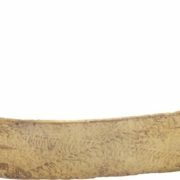 On the secondary auction market, the prices vary, but online prices realized show a range of $10 to $200,000. Also, as of this writing, at least 100 lots featuring charm bracelets are set to sell in auctions listed on LiveAuctioneers. With present-day wearers of charm bracelets combining vintage charms rich in sentimental value or a classic look with contemporary designs and elements, today’s most appealing charm bracelets seem to include mementos of past generations. 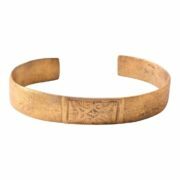 For some wearers, charm bracelets may represent the opportunity to pay homage and draw on the strength and character of ancestors. For others it may signify a sense of belonging to a particular group or mindset, or indicate their stops along life’s journey and the places they long to see. Whatever the reason may be, wearing a charm bracelet is always a stylish statement. When you think of celebrities who wear charm bracelets, your first thought probably isn’t of legendary American sharpshooter Annie Oakley. But one of the gifts Oakley received from her husband, Frank E. Butler, was a charm bracelet consisting of small gold pipes, with a spring-blade clasp and safety chain. 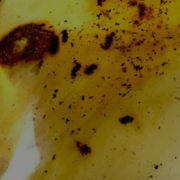 Like most owners of charm bracelets, Oakley reported added to her bracelet while keeping with a singular theme – gold coins. 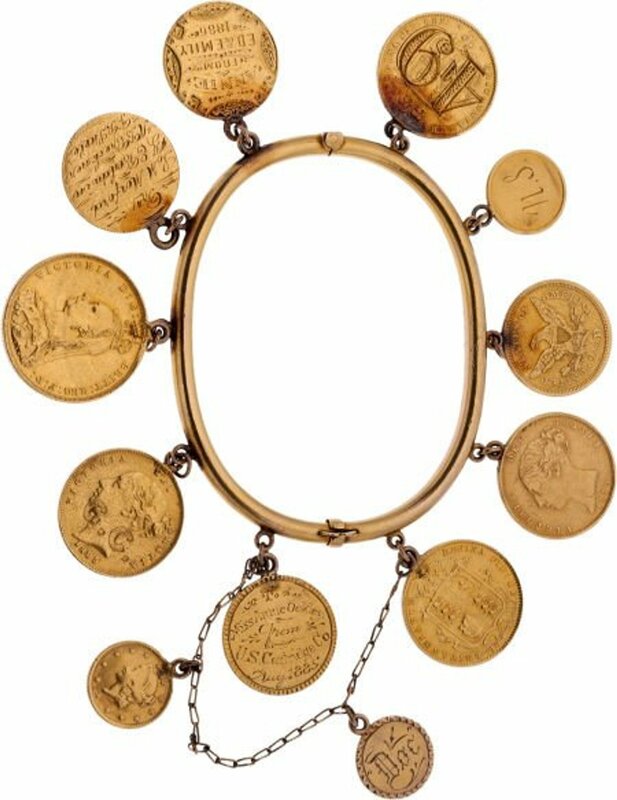 Each charm on her bracelet was a British or American coin, including an 1873 half sovereign and an 1873 half eagle. The first coin charm on Oakley’s bracelet was given to her in 1885 by the U.S. Cartridge Co. The rest were gifts from friends and family, including fellow competitive shooters, the secretary general of France, and W.F. “Buffalo Bill” Cody. 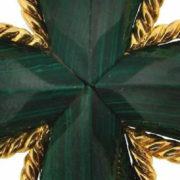 The coin given to Oakley by Cody bears his engraved initials. While the bracelet wasn’t something she wore daily, there is photographic evidence of her wearing it on various occasions. Not unlike her fellow wearers of charm bracelets, Annie Oakley held a special place in her heart and wardrobe for her bracelet. It was reported that in a show of support for the war effort she had nearly all of her silver and gold medals and trophies melted down to buy Liberty Bonds. 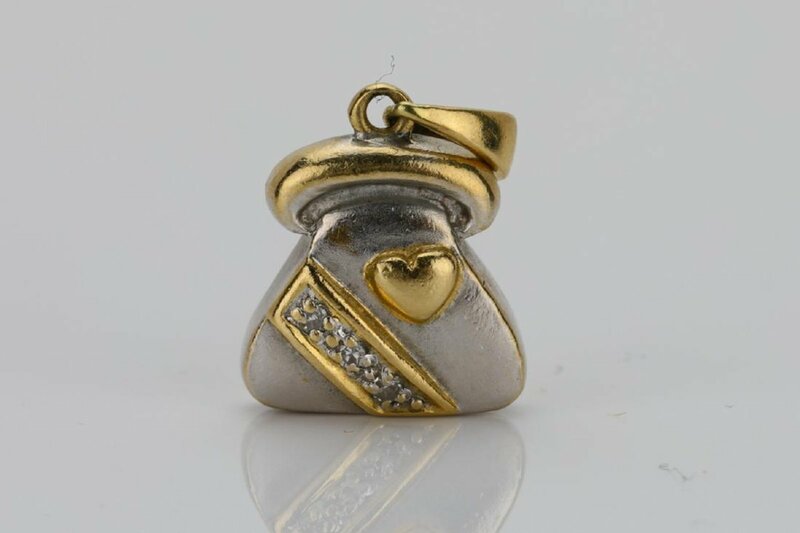 However, the sentimental attachment Oakley had to her charm bracelet (which had a weight of about 1.35 troy ounces) made it something she chose to keep in her possession. 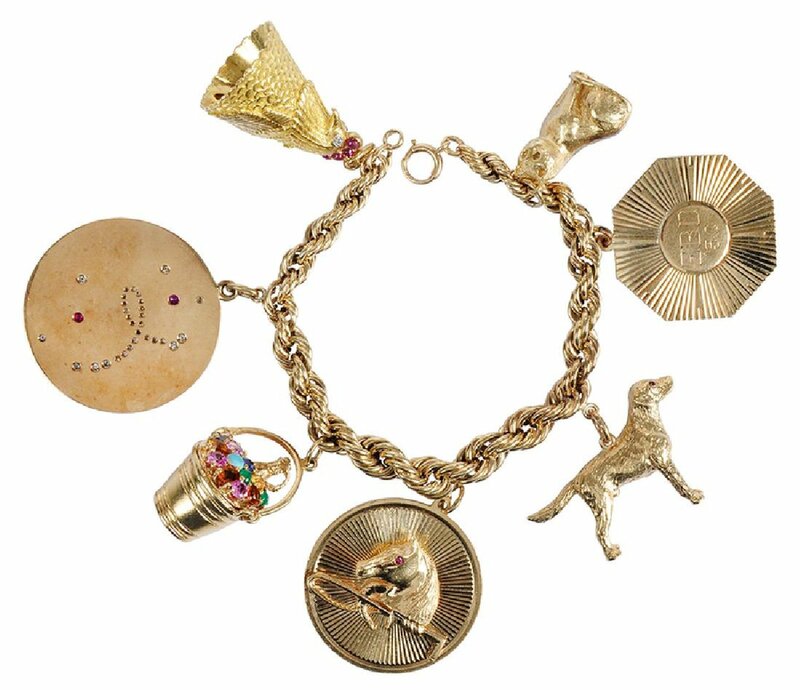 In 2013, during a Heritage Auctions’ sale, Annie Oakley’s gold coin charm bracelet sold for $200,000.